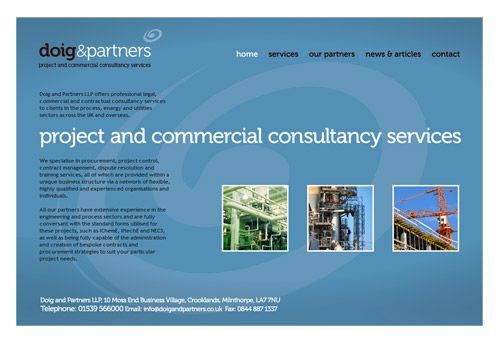 Doig and Partners have a new logo and website. The brief from the client was that they wanted something dynamic and contemporary. We used Museo, a modern serif font, selected a dark brown and cyan colour and created an energetic whirl as part of the branding. All these elements combine to create a logo to fulfill the client’s brief.